Let me start off by saying that I should have written this post a while back because an understanding of why John McCain lost the presidential election in 2008 is essential to understanding what the GOP must now do in order to re-energize and rebuild. I will also say now that this post is entirely based on my opinion on what happened, based on my perceptions as a student of politics and as a volunteer at McCain Victory Headquarters in Albuquerque during the campaign. I won't be citing any sources or referencing any blogs in this post, because I am basically just rambling about what I think the Republicans did wrong. So why did John McCain lose? There are the obvious answers that most people attribute the loss to, like the economy, President Bush's image, Barack Obama's charisma, etc. My explanation, and of course I am not claiming to be the only one with this opinion, is that Republicans were simply not excited enough to go out and vote. Republicans made the fatal mistake of not prom oting and making social issues a major focus of the election. George W. Bush in both of his campaigns was able to make social issues such as: abortion, gun control, the death penalty, stem cell research, gay marriage, etc., the focus of attention and he made sure to stir up Republican voters enough to ensure that not only would they go out and vote, but they would take their families and friends with them. He made sure that Republicans were angry that government wanted to take control of health care, or take away the right to own guns, or murder unborn babies. Anger=passion, and passion gets people to the polls. 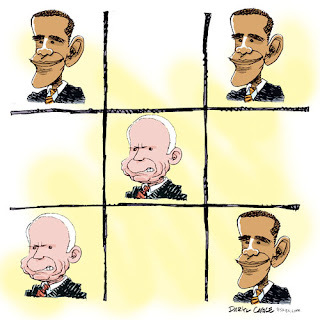 McCain was unable to stir the pot, no-one was angry that Barack Obama was the single most liberal Senator in the senate. No one was angry that Obama was in support of the D.C. ban against hand guns, or that he supported legislation as a state senator in Illinois that would prevent a doctor from saving the lives of babies who were born after a botched abortion. These issues were not put on the table and Republicans were not mobilized. As a result we saw a record number of Catholics and Christians voting for Obama, when in 2004 they came out strong for Bush. As a volunteer for McCain's campaign I made hundreds of phone calls and spoke with many Republicans who stated that they were not fans of McCain and that they were not going to vote. This seems to have been the popular option across the country. McCain was overly moderate during his campaign and shyed away from the controversial social issues because he wanted to appeal to independents and soft democrats, but in doing so he isolated his base. Above everything else, McCain lost in '08 because the Republicans stayed home. 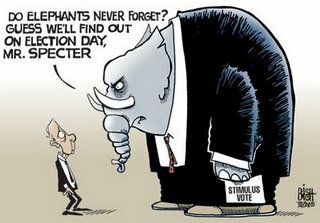 In 2012 the GOP needs a candidate who will get the voters to the polls. I agree with your analysis. The Republicans were not energized sufficiently: no passion, no anger. I'm still very curious about Palin, however. I think she was assigned the job of creating passion and anger--and she did create passion and a kind of joy, so to speak. I keep wondering how she would have campaigned had she not been given the rather negative-campainging assignment because I keep thinking that there's another more indpendent Sarah Palin lurking and waiting to emerge. What's interesting about politics is certainly that people's responses are unpredictable no matter how hard the experts try to predict. As you suggest, there are multiple and conflicting motives that drive people's voting patterns. I've been reading an article by Chantelle Mouffe, who is a theorist of radical democracy. Her comments seem to me to be instructive for both Republicans and Democrats and relevant to Change the Change. Mouffe distinguishes between enemies and adversaries, arguing that a democracy needs adversaries, who respect the right of their opponents to defend their point of view yet do all that they can to establish their own hegemony. These adversaries put forth different ideas about citizenship and policy, but they are not enemies--rather collaborators of sorts. Mouffe then argues that people working FOR democracy try to turn "atagonism" into "agonism," where "agon" is defined as a passion that has no desire to destroy and abolish but DOES have the desire to change the ruling structure. So agon is healthy when Democrats and Republicans argue policy and both try to restablish hegemony via words and arguments. Antagonism, on the other hand, is unhealty as it implies that one party would like to crush the other forever. I agree that McCain brought no motivation to the table. I believe that they did touch on social issues just not the right way. People were concern on how the economy was going to get reestablished, how the war was going to come to an end. I think people were looking at the broader issues. The GOP spends too much time trying to create this perfect family image instead of focusing on the people. They want everyone to think and act like Evangelical Christians. They have no room for tolerance or differences they forget the reasons of why this country was created. Now those Republicans you say stayed home, did they stay home and let victory slip out of their hands or did they prefer to vote for someone more credible and realistic? McCain didn't win the vote because Republicans consider him as not a Maverick, but a rebel. He has rebelled against his own party too often, and has sided with the Dems too often in his career - and comes across as a RINO. Those of us who came out and voted for him did so because we recognized the danger of Obama. The MSM didn't reveal to the public what Obama really was, and McCain didn't push it either. He was really a wimpy candidate in addition to the RINO problem. 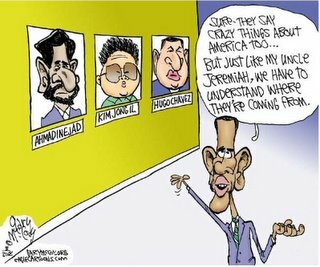 If you were online and following the political blogs, you knew he was an undercover communist. If you didn't, then you can plead ignorance.